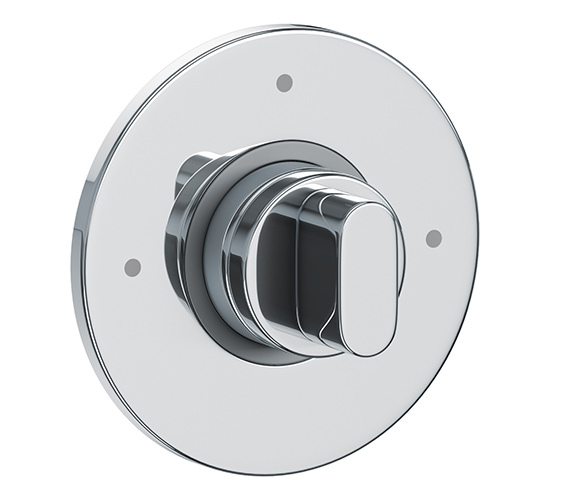 Adding beauty to brains, Abode has meticulously crafted the Euphoria 2/3 Way Diverter Valve. This gorgeous masterpiece is made from high quality metal and ABS, to ensure a long lasting, trouble-free usage. It is polished in a luscious European quality chrome finish, which blends beautifully with any bathroom setting. This WRAS approved diverter valve is easy to fit and easy to clean. It is custom designed for low pressure systems. Abode gives a 5 year limited warranty with this efficient bathroom wonder. Manufacturing code of this product is AB2426. 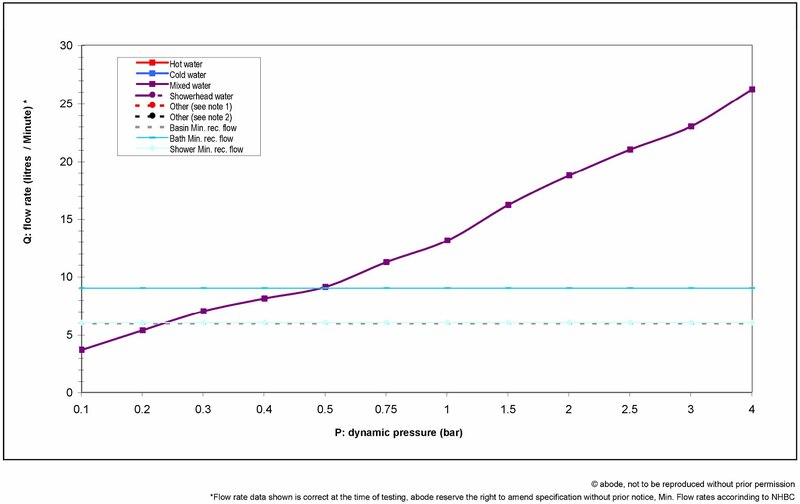 Minimum - maximum operating pressure required: 0.5 - 5 bar. Suitable for high water pressure system. I am looking for a 3/4" three way concealed chrome diverta valve. I have 0.15 bar head of water. For 3/4" 3 way concealed diverter valve, please view product code QS-V37060 or view URL: https://www.qssupplies.co.uk/bathroom-furniture-shower-taps/4863.htm. Yes, the product does meet your requirements. It has one inlet and 3 outlets, one of which can be blanked off. You can only run 1 outlet at a time. Hope this helps. Hi, does this item limit flow whilst switching between outputs? Can I just check as well that it has an input leading to three outputs, without a shut-off? Also what size pipes are on the input and outputs. Thank you, Sam. Flow shouldn't be limited when switching between outputs. Regarding the input, this does lead/supply all three outputs without shut off, with the pipe sizing they are 1/2" female nut and olive connections. Hope this helps. 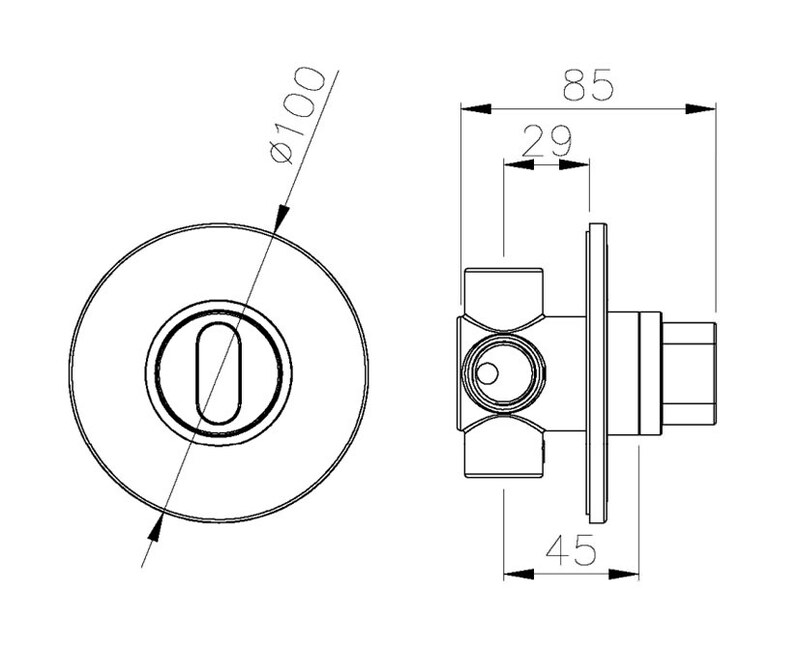 Do you Have a front line drawing or photo of the valve showing mounting and in and out ports? Any marking on the knob or front plate? Do you have a flow chart for various BAR rating? We have uploaded the technical diagram and flow chart diagram. Hope it Helps.